It’s that time of year again when I am wrapping up the last few weddings of the summer season and local venues throw open their doors to attract new customers. It’s the Autumn Wedding Fayre season! 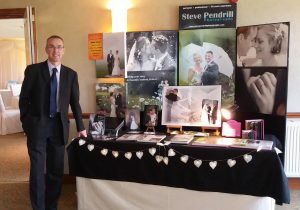 Me at my photography stand at Garstang Country Hotel’s wedding event. 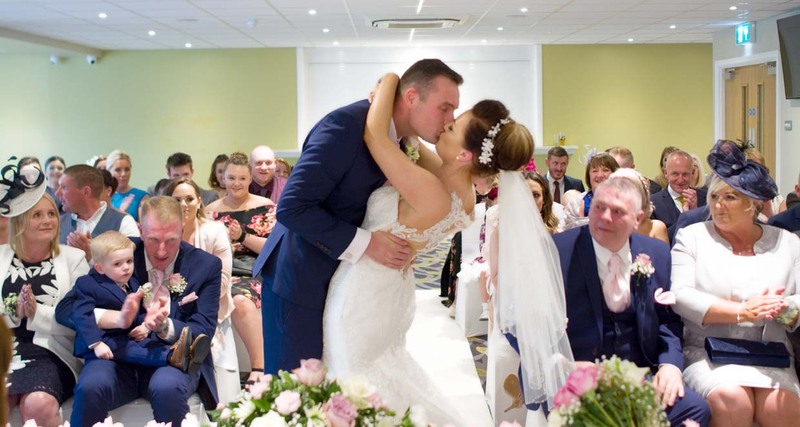 Having recently had a tiring but successful event meeting new customers at Garstang Country Hotel earlier this month, I will be taking part in two popular wedding fayres over the next two Sundays. 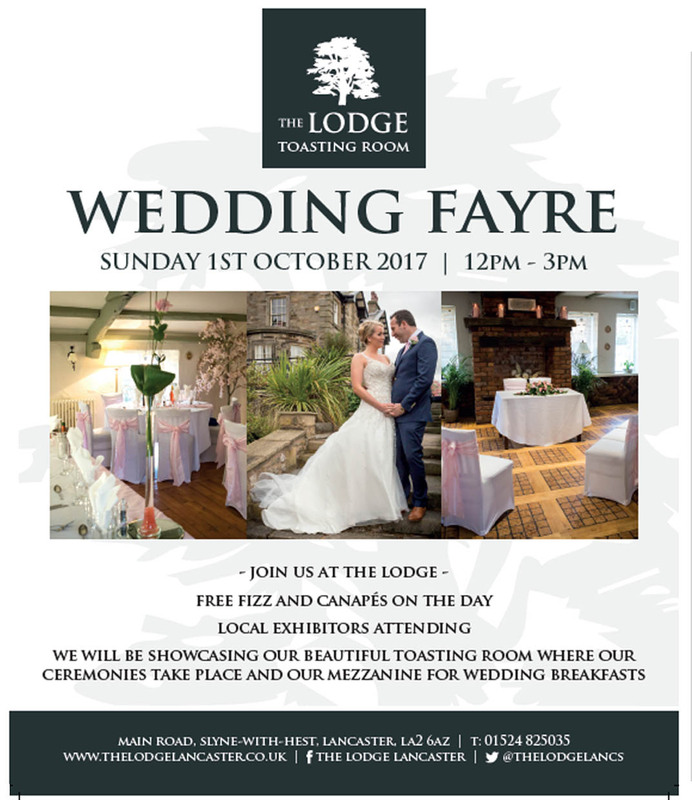 The first is THIS Sunday 1st October (12-3) when I will be setting up at a lovely venue where I’ve snapped two weddings recently; The Lodge at Slyne, just a couple of miles north of Lancaster. An old coaching house on the A6, this lovely old building and gardens makes a great spot to tie the knot and especially suits small intimate weddings, in my opinion..
Stuart & Helen take advantage of good weather for their Lodge wedding earlier this month. 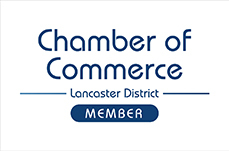 Next in my diary on Sunday 8th October (12-4) I will be making my annual return to Lancaster’s Holiday Inn. Friendly staff and the pleasant backdrop of trees and the River Lune make this modern venue a good choice. It’s conveniently sited right next to the M6 on the edge of town. Rebecca & Liam’s first kiss at the Holiday Inn. At both of these events, as well as myself, you will find lots of different local wedding services. AND, if you are ready to book your wedding, you will find a FANTASTIC SHOW OFFER at my stand… If you book on the day (and your wedding package is valued over £500), you will get a 20″x16″ enlargement of your favourite wedding photo worth over £100 absolutely FREE!! Ask lots of questions. We are there to help & advise. Check out customer reviews if possible. Does this business have a lot of experience? Make sure you know exactly what you are getting for your money and look out for hidden costs. Listen to your instincts & take note of good first impressions.